AMI’s experts parse the data in different sectors to offer actionable insights. In addition to the proprietary research we generate for specific clients, the AMI team regularly shares free whitepapers for certain practice areas, as well as presentations from speaking engagements, market reports and forecasts. Below is a selection of AMI analysis pieces available for free download. 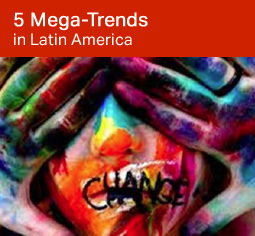 Americas Market Intelligence Managing Director John Price breaks down 5 large trends happening right now in Latin America that will have significant implications in the near future. El Director de Americas Market Intelligence, John Price, analiza cinco grandes tendencias que están ocurriendo ahora en Latinoamérica y que tendrán importantes implicaciones en el futuro cercano. Analysis of political and economic challenges in the region, along with industry-specific forecasts of trends for consumer/retail, payments, logistics, healthcare and more. 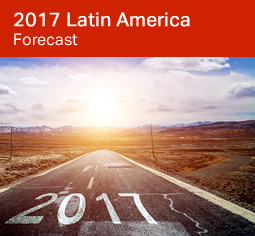 An analysis of the trends that will affect LatAm in 2017, as well as individual 2017 projections for Argentina, Brazil, Chile, Colombia, México, Peru and Central America. What Is Next for the Andean Region in 2017? An analysis of challenges facing the Andean region, including forecasts for Colombia, Peru, Ecuador and Venezuela. Lindsay Lehr — director of the Payments practice at Americas Market Intelligence — gave this presentation at Fintech Conference LatAm 2018, which took place in Lima, Peru in May 2018. 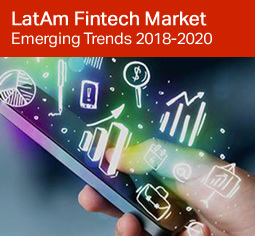 This presentation covers areas in which fintech innovation is emerging in Latin America, citing companies such as Rappi, Oxxo and Amazon Cash. It also explores the dominant role of cash for making purchases in the region and the potential of contactless payments to change that. 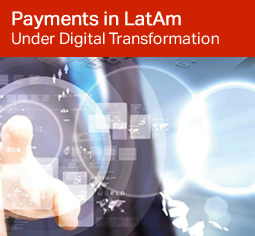 This whitepaper explores the shift towards digital technology in the Latin American payments market, including the rise of m-commerce, online remittances threatening traditional MROs, online lending’s affect on Mexico’s credit market, intense competition in e-commerce enablement and the challenges with mobile money in LatAm, among other topics. Commissioned by Visa, this in-depth whitepaper looks at the potential for contactless payments in the region by examining the existing infrastructure, consumer behavior and key market conditions while also highlighting the advantages of this payment method for both consumers and banks. Encargado por Visa, este whitepaper detallado examina el potencial de los pagos sin contacto en la región al analizar la infraestructura existente, la conducta de consumidores y condiciones clave del mercado mientras que también resalta las ventajas de este método de pago tanto para consumidores como para bancos. Tracing the development of digital wallets for m-commerce in Latin America (such as Visa Checkout), along with a regional overview of mobile money in Latin America. 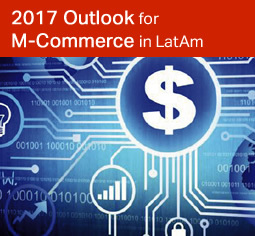 This report breaks down the growth in e-commerce and m-commerce in Latin America, including projections that cover the next five years. 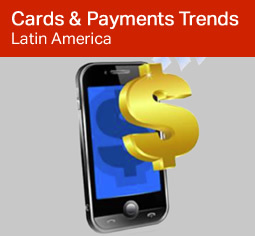 Americas Market Intelligence (AMI) Latin America market research presentation on mobile commerce in Latin America made at the M2 Money and Payments LatAm conference in 2016. 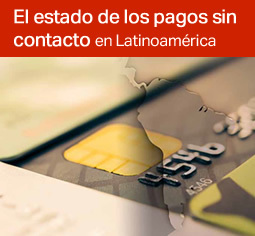 The presentation covers e-commerce in Latin America from a payments perspective, offering research, analysis and market intelligence that reflect the work performed by Americas Market Intelligence for clients that seek the firm’s market intelligence and management consulting services for Latin America, both for the region and specific markets. 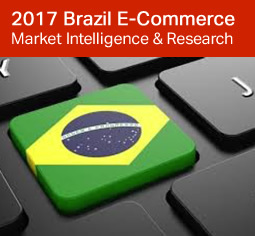 An overview of the Brazilian e-commerce market for 2016-2017, including its current size, growth projections, m-commerce growth in Brazil, barriers for cross-border transactions and more. Datos de investigación de mercado sobre comercio móvil (m-comercio) en Latinoamérica: penetración, tipos de pago, obstáculos, crecimiento proyectado del m-comercio, productos que más se compran por comercio móvil y electrónico, el uso de la billetera digital en Latinoamérica y más. This whitepaper examines a variety of LatAm payment issues, including digital wallets, m-commerce and mobile money. 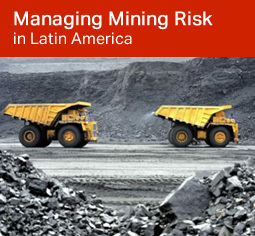 Based on a 2018 webinar given by our mining practice leaders, this data-rich presentation highlights 7 key risks faced by miners in Latin American jurisdictions and analyzes how to best manage them, using recent case studies to show best practices. 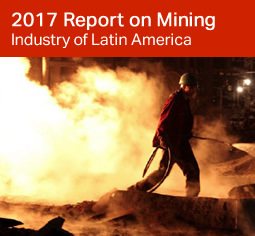 This report examines the downward trend in Latin American commodities and the impact of competitiveness in driving investment in the region while also detailing growth drivers and best practices for mining investors targeting Latin America. 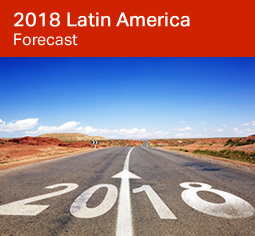 An analysis of 3 key trends that will impact Latin American retail sales in 2017 and offers insights for retailers to take advantage of them. 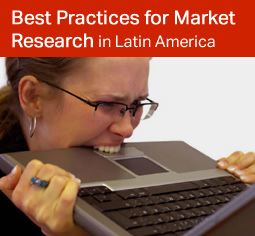 A look at the common obstacles to conducting market research in Latin America and the best practices for optimal results. Un reporte breve que desglosa los retos y las mejores prácticas para llevar a cabo la investigación de mercados en Latinoamérica, así como recolectar inteligencia de mercado y de negocios en la región. 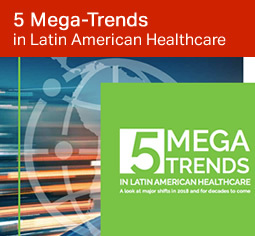 This report from our sister company, Global Health Intelligence, offers detailed analysis and a deep range of data that indicate which 5 massive trends are reshaping the healthcare landscape in Latin America. 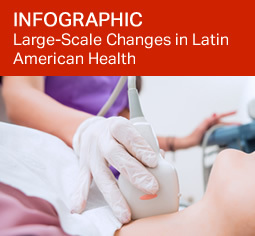 This infographic from Global Health Intelligence, our sister company, highlights the long-term health changes happening in Latin America, ranging from increases in diabetes and dementia to a stronger prevalence for cancer, kidney diseases and other conditions. Una infografía que señala las tendencias que están ocurriendo a largo plazo en la salud en América Latina, desde los aumentos en personas con diabetes y demencia hasta la prevalencia de afecciones como cáncer, enfermedad renal y más. 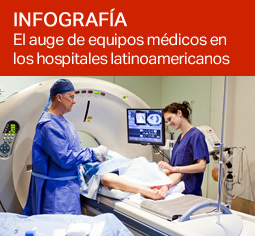 La infografía fue creada por Global Health Intelligence, nuestra empresa filial. This infographic from Global Health Intelligence, our sister company, shows not only wider market trends with different types of equipment but also the increases in medical equipment in hospitals in Argentina, Brazil, Chile, Colombia, Mexico and other markets. 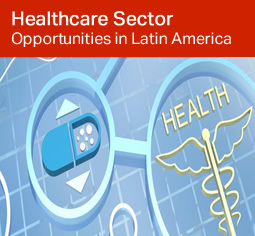 Esta infografía —creada por Global Health Intelligence, nuestra empresa filial— detalla no sólo los grandes cambios en los mercados para diferentes tipos de equipos médicos en LatAm, sino que también indica los aumentos en equipos médicos que se han dado en países específicos, como Argentina, México, Colombia, Perú y Chile, entre otros. 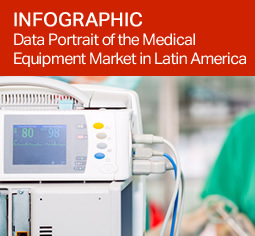 This infographic from Global Health Intelligence, our sister company, looks at growth in medical equipment importations into Latin America in a variety of markets and categories. Esta infografía —creada por Global Health Intelligence, nuestra empresa filial— destaca el crecimiento en las importaciones de equipos médicos a Latinoamérica en una amplia gama de mercados y categorías. A look at broad trends in currencies, the increasing dependence on private healthcare, changing demographics and more. This report looks at market shifts that offer strong sales potential for the medical devices and equipment industries. Market research and intelligence for Latin America’s travel insurance sector including growth trends, increases in Latin American travelers, credit card and debit card penetration in Latin America and more. Este reporte empieza a analizar la baja en los precios de productos exportados como gas natural, plata, petróleo, etcétera, las tendencias crecientes en PIB en Latinoamérica para 2017 y 2018, factores clave en el crecimiento a corto y a largo plazo y cierra con breve análisis económicos de importantes mercados latinoamericanos.